For the base color I used Girly Bits Irreplaceable (not one of the Fall Cremes but has the same great formula and opacity). 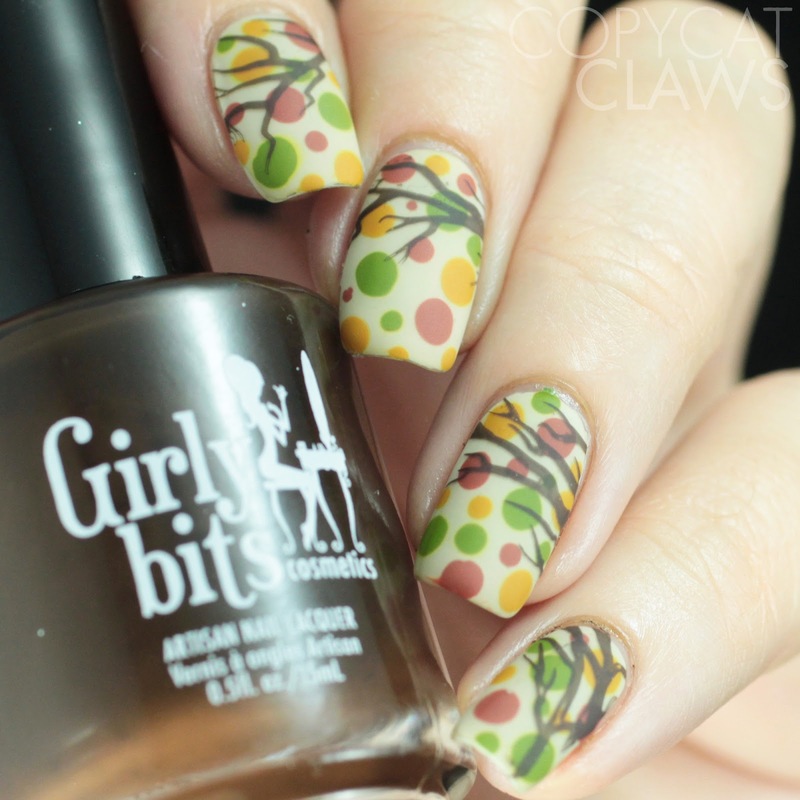 Then I added dots of Another Brick In The Fall, It's Near Leaf All and Butternut Leave Me. 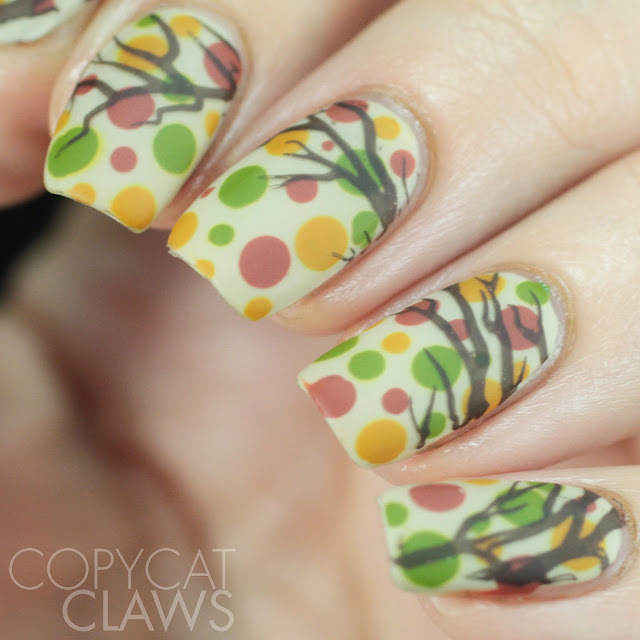 I like the muted tone of these colors so at first I was just going to do an autumnal dotticure (I love polka dots but don't wear polka dot nails enough) but I thought adding the branches would be a fun idea. 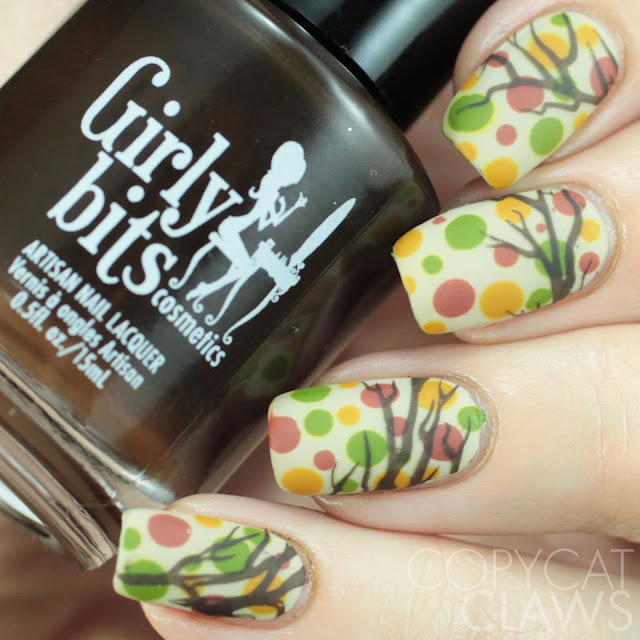 So I stamped the branches from Maniology Happily Never After BM-XL195 with Girly Bits Stump Up The Jam. See how opaque these are! Look at how well that stamped! 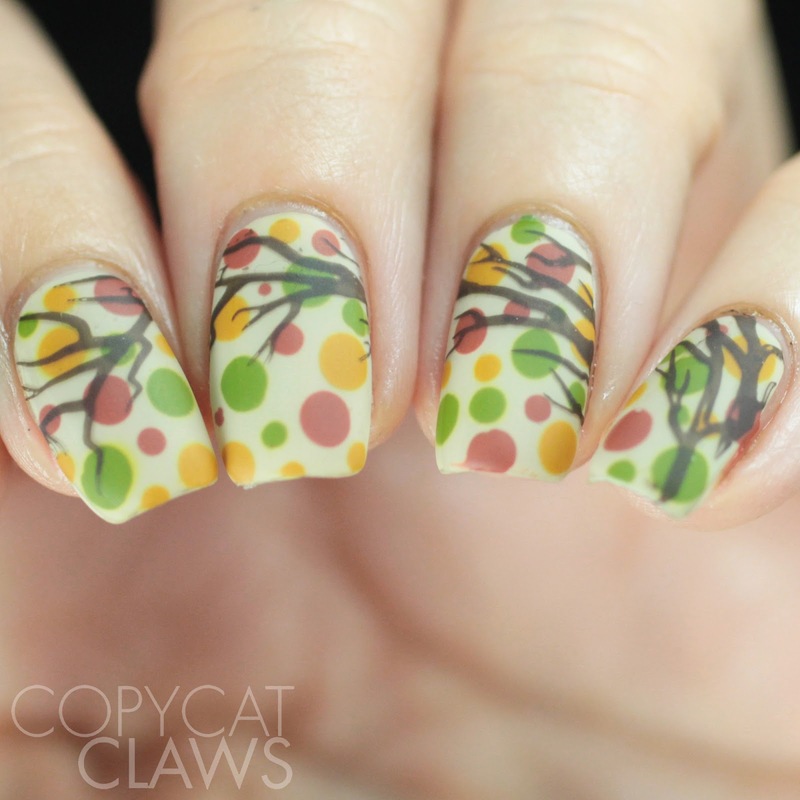 To finish, I just used KBShimmer's Oh Matte! top coat and my fall dotticure was complete! 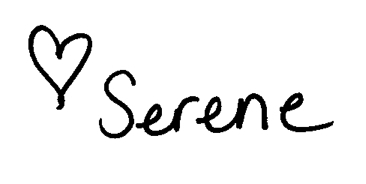 Now that today's blog post is done, I guess I'll go back to doing real work. Nail stuff is so much more fun though! Last Fall Nails Of The Year?